It's going to be someone's lucky day. The Indian Spring single family home is the ideal place fo those looking to make Florida their winter paradise or year round too. This home was well loved and is ready for someone amazing to love and enjoy all that it has to offer. The popular design has a split layout that offers all of the space and privacy that you desire. The home has vaulted ceilings and has a newer roof, a/c, washer and dryer. You will enjoy the screened patio that you will love all year round. The home offers a lot for the price. 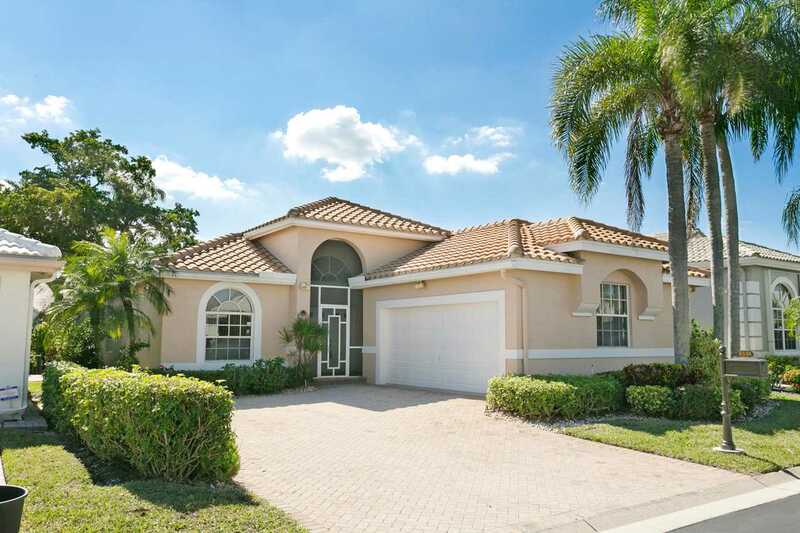 The location is close to shopping, restaurants, golf and beaches. You will enjoy the lifestyle that your Indian Spring home has to offer. Indian Spring Country Club offers optional Social and Golf Memberships. This is a gate 55+ community. SchoolsClick map icons below to view information for schools near 6338 Crystal View Lane Boynton Beach, FL 33437.